Available with optional laser engraving. 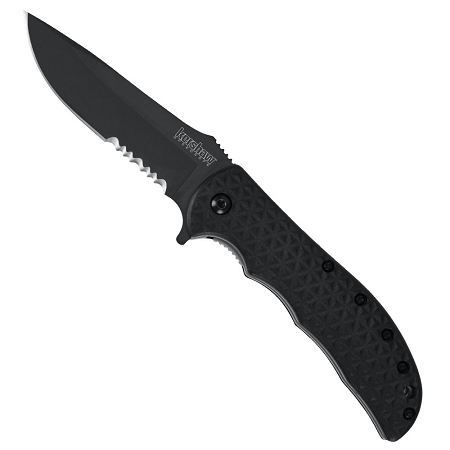 You get the same versatile blade and handle style as the original Volt, but with a non-reflective black oxide blade coating, black handle scales, and black pocketclip. 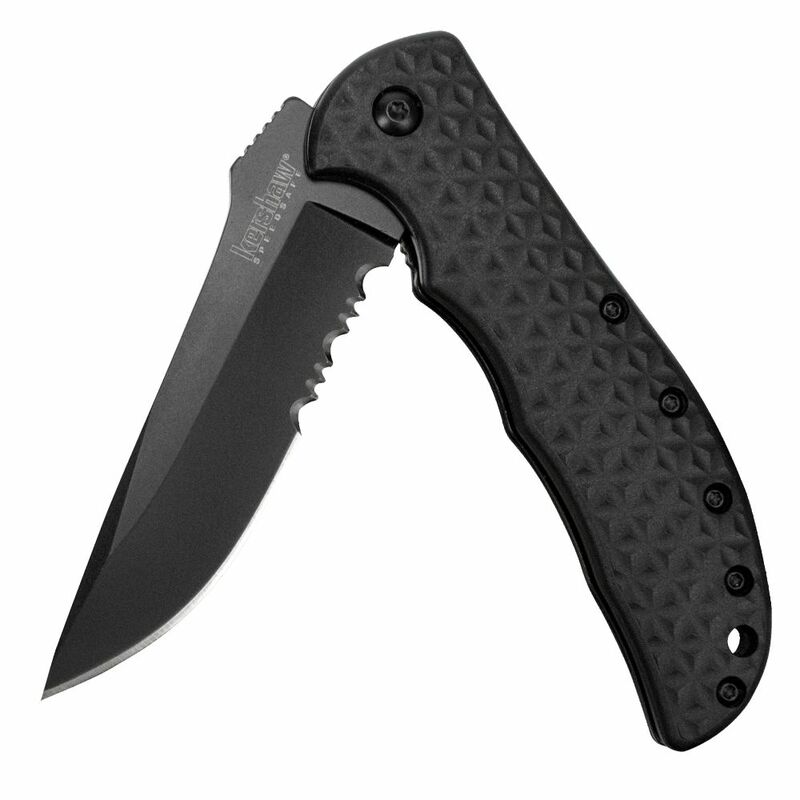 In fact, the only things that aren’t black on this new iteration of the Volt II are the wicked gleam of the Kershaw-sharp edge and the secure locking liner. 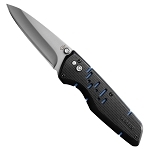 The Volt II opens one-handed and with an authoritative “twack” thanks to Kershaw’s SpeedSafe® assisted opening system. A simple pull back on the flipper and the Volt II opens smoothly and easily. 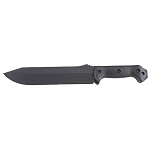 We think you’ll appreciate the versatility of the Volt II’s slightly dropped point blade. 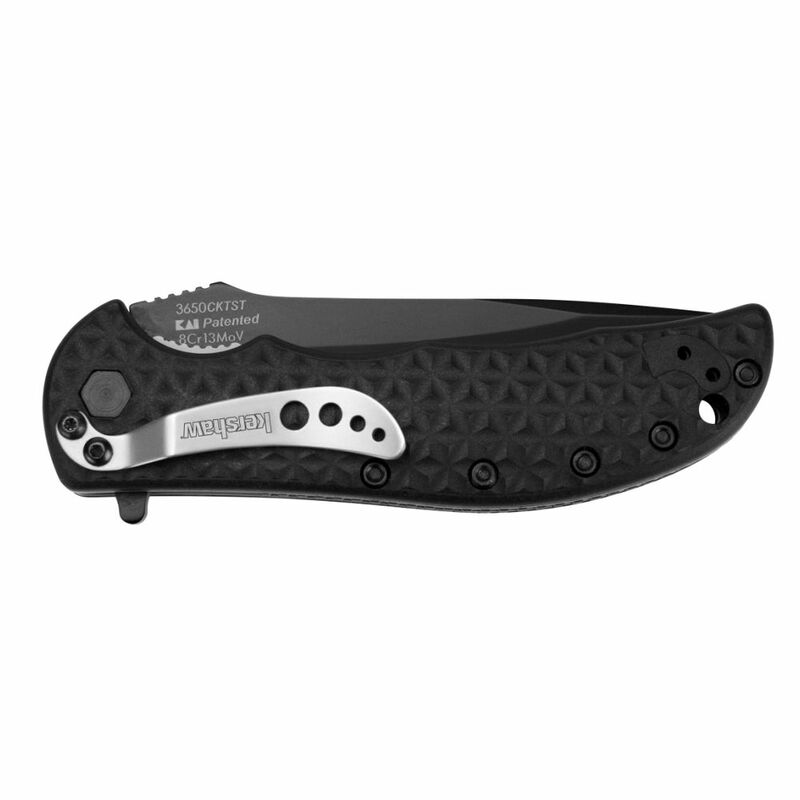 This classic shape is just about perfect for any task you’ll want to ask it to do. Partial blade serration just extends the Volt II’s capabilities and makes it easy to whip through materials like cord, webbing, or rope. 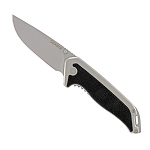 For a secure grip and a solid, satisfying feel in the hand, the Volt II has finger contours on the handle, diamond-patterned, glass-filled nylon handles, and heavy jimping on the back of the blade. With its great look and versatility, the black Volt II is destined to become a permanent partner for your pocket. You may wonder how you ever did without it.